At SellMyTimeshareNow.com, we’re here to help give you the laid back Californian vacation of your dreams. Diamond Marquis Villas Resort is a top-quality choice for your stay, and when you buy or rent a timeshare through us, you can save big—up to 70% off the original price. What’s My Marquis Villas Timeshare Worth? Enjoy a laid back retreat in the deserts of Palm Springs, California. 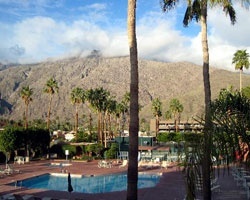 With a vacation at Marquis Villas Resort, you'll relish in the central location at the base of San Jacinto Mountains. The area is bursting with vibrant energy, music, and festivals, while also offers plenty of serene spots to just kick back and relax. On-site, take advantage of stunning mountain views, and outdoor heated pool and hot tub, game room, sports courts, and more. Minutes away, you'll have access to golfing, hiking, horseback riding, jeep and hot air balloon tours, and so much more! The condo-style accommodations come in one- and two-bedroom layouts, some offering a pool or mountain view. Each unit has it’s difference space-wise but for the most part, the type of rooms available at Marquis Villas Resort all share a large number of convenient amenities, including a full kitchen, two bathrooms, fireplace, whirlpool tub, and spacious living area. 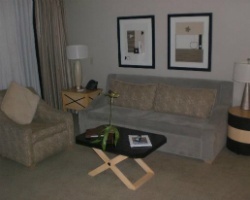 Find your own Marquis Villas Palm Springs vacation today with one of our affordable resales and rentals. Fill out the form on the right or call us at 1-877-815-4227 to speak directly with one of our knowledgeable representatives. 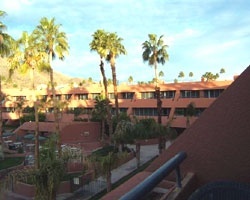 For the best rates on Marquis Villas Palm Springs timeshares, the resale market is the place to go. Not only will you be able to browse our inventory at your leisure and avoid spending money traveling to the resort, you'll also save as much as 70% off developer prices. This is because resorts tack on fees and hefty sales commissions to the price of the timeshare, whereas owners advertise their individual timeshares for their accurate market value. This price difference equates to thousands of dollars and makes a lot of financial sense! Avoid the high-pressure sales pitch and expensive price tag and shop on your own time and your own pace on the secondary market. Our inventory of Marquis Villas resales features deeded fixed and floating weeks with annual or biennial usage, many within the desirable Red season of ownership. 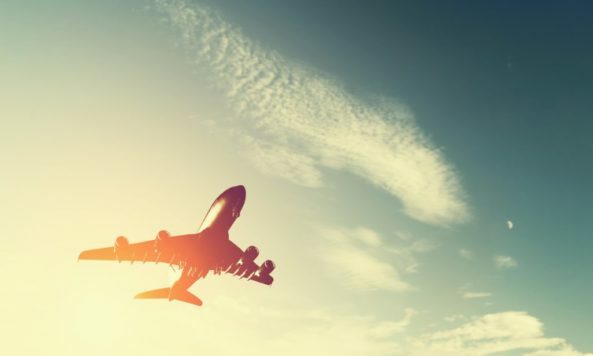 Fixed and floating weeks are now only found on the resale market, ensuring that you'll save big while still being able to customize how you want to travel. There are a variety of fixed or floating weeks in which to choose from when purchasing a Marquis Villas Resort timeshare. Diamond Resorts has since updated their ownership system to be a points-based membership. Weeks are now only available on the resale market, making it convenient for you to get a great deal on this ownership. Points are sold on the resale market as well, however you just need to be aware that you will need to pay an additional fee after purchasing to be able to utilize your points to exchange your timeshare within the Diamond Resorts network. Regardless of which you choose, you will still be saving thousands while enjoy all the great benefits of Diamond Resorts timeshare ownership. Owners of a Marquis Villas Resort timeshare will also have the fantastic opportunity of becoming an Interval International member. Interval International is the external timeshare exchange company affiliated with Diamond Resorts. For an additional fee, Marquis Villas timeshare owners can become members and participate in Interval International’s comprehensive timeshare exchange program. This will allow members access to over 2,000 resorts worldwide to exchange with for a brand new vacation experience by depositing their Marquis Villas Resort timeshare week. Marquis Villas is additionally an Interval International Select Resort, giving owners a higher trading power within Interval International's extensive network. Palm Springs is one of the hottest vacation destinations in California, and even in the country! The warm desert atmosphere is ideal for all sorts of outdoor activities like swimming, hiking, cycling, and driving around in a Jeep to experience inland California to its fullest potential. Close by, you'll find the Palm Springs Aerial Tramway, San Jacinto Mountains, Palm Springs Air Museum, Moorten Botanical Garden, Ruddy’s General Store Museum, Knott's Soak City Waterpark, and more. Not to mention a great selection of bars, clubs, restaurants, shops, and entertainment venues. Palm Springs is also home to a beautiful variety of scenic golf courses, parks, and lakes for plenty of outdoor enjoyment. 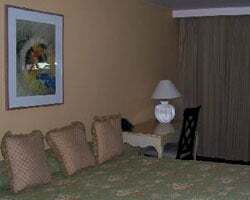 Marquis Villas also offers plenty of on-site amenities to enhance your stay. Outside of the cozy accommodations, the Marquis Villas Resort property provides sports courts, a fitness center, outdoor pool and hot tub, children's pool, game room, and a picnic area with barbecue grills. Already Own at Marquis Villas Resort?